We have a robust risk management framework and are continually searching for solutions that keep our patients safe. 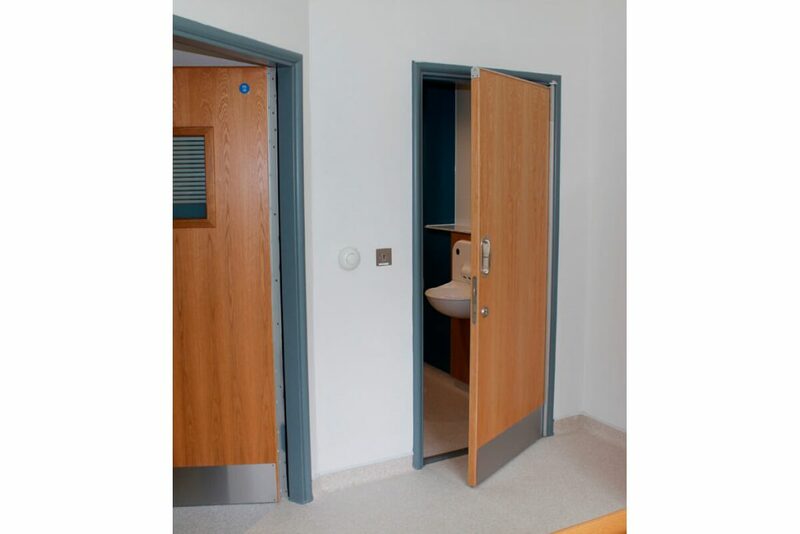 After assessment of three different options; removal of en-suite doors, chamfered door tops and a door top alarm, the CWP Health & Safety Well-being Sub Committee agreed that it was the door top alarm that would provide the most robust solution to managing ligature risk. We are now looking at a programme of installation for a number of Trust areas including adult acute, PICU and Low Secure Units. The Trust provides inpatient and community mental health services for children, adults and older people across Cheshire and Wirral. Its focus is to strive for clinical excellence by ensuring there is a framework to deliver quality improvements, the safety of patients and quality outcomes for service users. 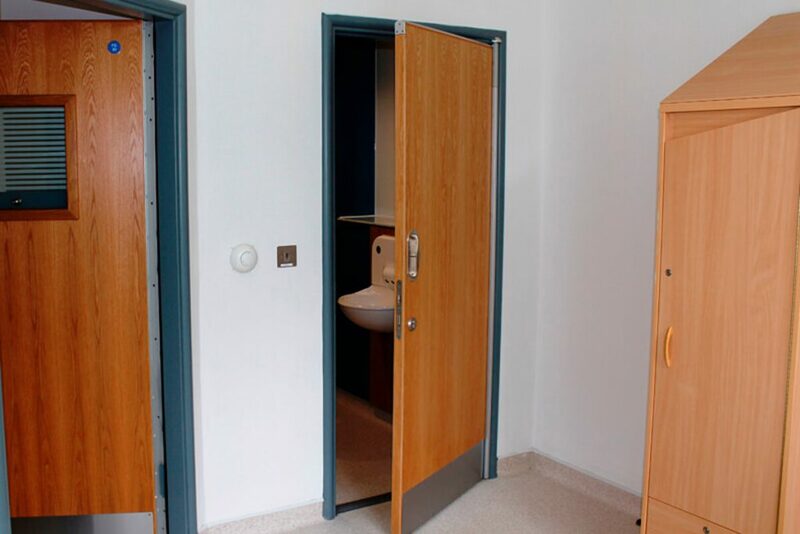 A survey on specific risks associated to en-suite doors delivered by the CWP property management department found that high-risk room doors presented a risk of attaching ligatures over the top of closed doors and an anchor point being created once the door was closed into the frame. Amongst the three solutions offered Intastop’s Door Top Alarm was considered to be the best option. 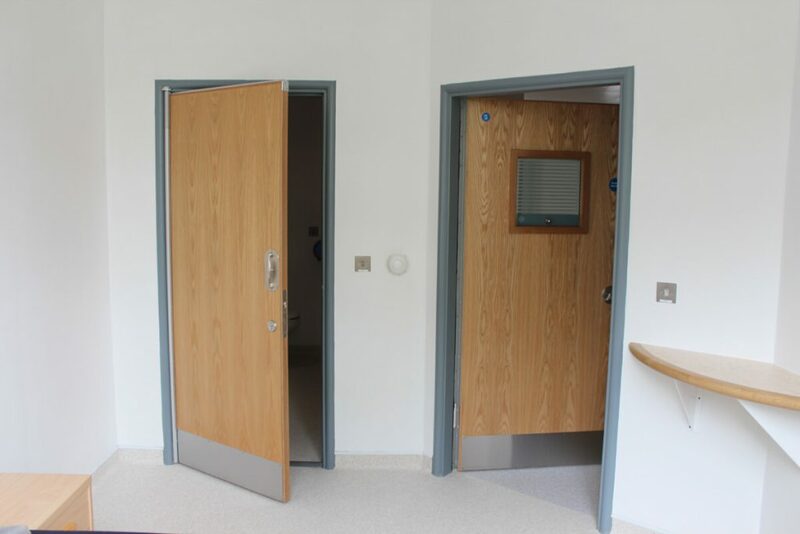 The conclusion of the clinical group was that the Intastop Door Top Alarm would provide a robust assistance aid to ward staff and provide an early warning measure. The Intastop Door Top Alarm helps prevent attempted suicide by detecting when weight is applied to the top of the door. This 30-minute fire rated and tamper proof system has a variable alarmed delay setting between 5 and 30 seconds. It is a solution that protects the service user by providing a tool that helps clinical staff maintain a high level of service care to their patients. An integrated package including Intastop’s continuous geared ‘SECURA™secura hHinge’, electrically modified to provide power and control to the door top alarm makes installation and procurement easier.